Superchunk down in tier 3? WTF? I have an extra ticket if anyone is interested. 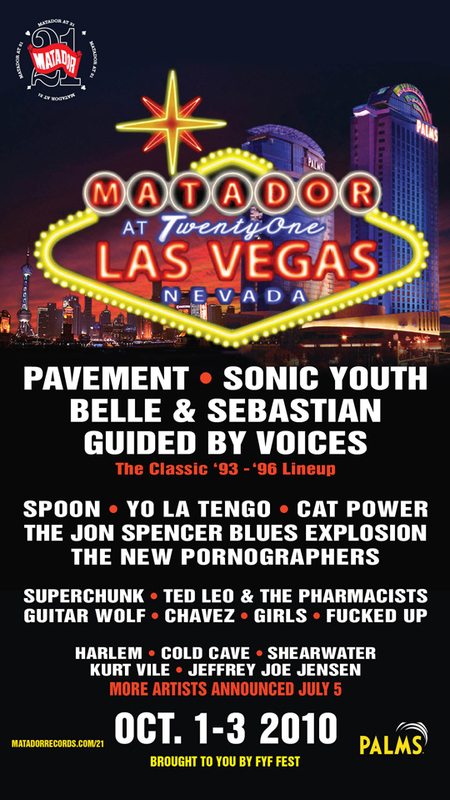 i love las vegas and all the bands and really wanna go but somewhat confused — is it too late? just figuring it out now with miles, etc. are tix and hotel still available? Looking for A Ticket! Please email me if you can make the good times roll! [email protected] Thank you very much! I was in a band called Bettie Serveert on Marador in the 90’s, what a shame we did not reform for this, anyway congrats everybody at Matador for sticking to it!